Chef Tony Matassa was trained in his family's restaurant virtually from the time he was born. In his career, he has worked with some of the best chefs in the Cajun heartland, including Louisiana Chef Andrew Jaeger, French Chef Gerard Hemery, and Baton Rouge favorite Chef Joey Distefano. In February of 2008, Chef Tony teamed up with BBQGuys to bring product demonstrations, recipe videos, and all things cooked or grilled to the world. Having the best customer service is something BBQGuys and Chef Tony strongly believe in, so we ask that you please let us know if there is a particular product or recipe you want to see. 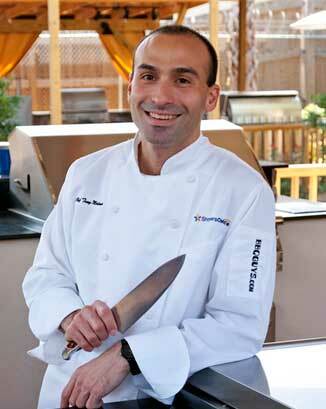 Check out Chef Tony's videos and get daily BBQ Grill Tips on Facebook and Twitter! BBQGuys YouTube Videos with Chef Tony! 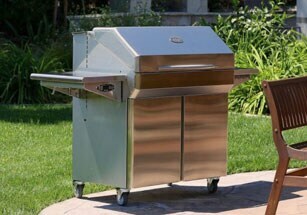 Each year our panel of experts rank which grills are best in a group of categories. Which grills made the cut this year? Whether you're a first time buyer, or looking to update your current grill, check out these things to consider when buying a gas grill. 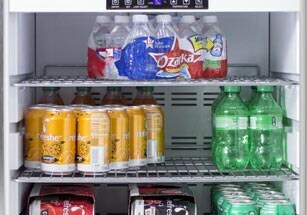 Here are 5 features you need to consider when buying an outdoor refrigerator to ensure confidence in knowing you're making a great purchase. The best pellet grills on the market are right here. 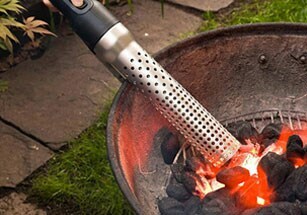 We've reviewed all of our pellet grills to show you what's really smokin! Our recommended kamados represent the top ceramic grills, based on ship time, quality, accessories, and customer reviews. This buying guide has the answers you'll need to maximize your outdoor ice maker knowledge, and help you choice the one that is best for you. For many people, the idea of infrared grilling is somewhat of a mystery. Learn the basics of infrared cooking as well as the benefits. Our list of top rated recommended charcoal grills, based on quality, value, durability, and performance. For some, there is no better flavor than food cooked on a charcoal grill. Keep these things in mind when purchasing a charcoal grill. Ready to fire up your new charcoal grill? Check out these tips that makes lighting your grill a breeze! Easy to clean and safe, we've rated the top electric grills based on durability, appearance and overall performance. These are our top rated built-in gas flat top grills and griddles to help you expand your cooking versatility! We've reviewed our BBQ smokers based on performance, durability, and overall cooking versatility. 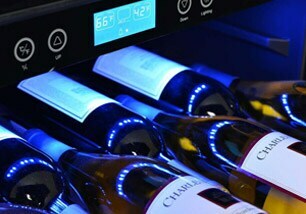 Enjoy the convenience of outdoor refrigeration while you grill or relax on the patio. 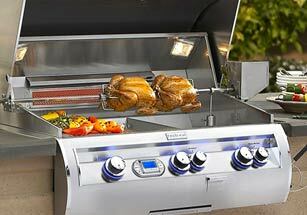 Check out our lists of top outdoor refrigeration appliances. Whether trying to grill your food to the perfect temperature or protecting your guests from food-born bacteria, a grill thermometer is a must-have for any griller. In this guide, you'll find detailed explanations of components found inside a typical gas grill and how they work.